Companies with 50 or more full time employees or even full time equivalents may inquire penalties under the Employer Shared Responsibility. This doesn’t apply to just full time employees and must be understood to prepare your company for the Employer Shared Responsibility. You must consider full time equivalent (FTE) employees also, which are business part time employees that total full time hours together. The upcoming healthcare exchanges state that if your employee base is fifty or more there is important understanding of penalties that could be assessed to your company in the future. If your company has 50 or more full time (FT) or full time equivalent (FTE) employees and minimum essential coverage to your employee’s healthcare is not met, then you may be penalized. This would fall under the Employer Shared Responsibility in the new health care reform. Individuals must have minimum essential coverage as of January 1, 2014 or possibly be penalized. Now that state health exchanges are open for enrollment, employees that qualify can sign up for these plans. If your employees sign up for their states health exchange and you meet the 50+ employer, then January 1, 2015 employers (50+ full time equivalent employees) who either do not provide coverage to substantially all (95%) Full time (FT) employees or whose coverage is deemed unaffordable (employee contribution exceeds 9.5% of family income) or does not provide minimum value (at least 60% actuarial value) may be subject to a penalty. The FTE Calculator was designed to help determine if your company falls under the 50+ employer. If your business meets the pay or play penalty then you will want to plan a way to provide benefits to your employees. Employers Resource would like to enroll one of our Human Resource Specialists to help you down this path. This calculator is structured as a general guideline and is not an official representation of your specific situation. Consult your tax advisor to finalize any penalty that your company may occur, or contact one of Employers Resources Human Resource Specialists to learn what you can do to avoid any penalties for the future. Start tracking your full time employees and all part time employee hours now for the upcoming requirements so you are prepared for Employer Penalty starting January 1, 2015. If your employee count doesn’t change throughout the year, you can use this calculator to determine your FTE. If it does fluctuate throughout the year, use the “Fluctuating Employee Count” Calculator. Use this calculator if your employee count fluctuates throughout the year. If the count doesn’t fluctuate, you can use the “Static Employee Count” calculator. Based on your monthly full time employee (FT) and full time equivalent (FTE) information supplied you do not qualify as a large employer for the pay or play penalties. If this information has stayed the same since January 1, 2014 then your company will not fall under the large employer in regards to the Health Insurance Exchange. It is important to keep detailed records of monthly hours for all part time employees and number of full time employees for tax procedures starting from 2015. This calculation is a monthly procedure that can change accordingly for each month. Part time employee’s total hours for the month can change the status of number of full time employees. Under the seasonal exception, if an employer’s workforce exceeds 50 FT and FTE employees, but only for a period of 120 days or less during a calendar year, and the employees in excess of 50 employed during that period were seasonal employees, the employer is not a large employer. Consult your tax advisor to finalize any possible penalty. Want to learn more about requirements are for less than 50 employees? If you, as an employer, do not provide health benefits to all full time employees and at least one of your employees receives subsidized coverage in the healthcare exchange, your annual penalty will be at most $. Employees can only receive subsidized healthcare in their states healthcare Marketplace Exchange if their total costs exceed 9.5% of the employee’s income. Even if you provide healthcare to your employees, there are standards that must be met. If you fail to meet these standards and your employees enroll in their states healthcare Marketplace Exchange your business is subject to a penalty. You will be assessed a penalty of $3,000.00 per employee receiving subsidized coverage or $2,000.00 per FT employees minus the first thirty, whichever is less. For the information entered above, you will pay $ if there are more than employees at your company receiving health coverage from their states Marketplace Exchange. 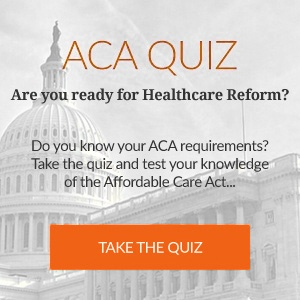 It is important to start preparing now for your January 1, 2015 reporting of healthcare coverage. For complete details Professional Employer Services would like to help your business. Taking care of the details is what our specialists are here for. Contact a Employers Resource Benefits Specialist near you today. We are here to provide you with the details you need when it comes to staying in compliance with the Health Care Reform. 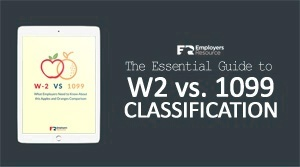 Want to learn more about requirements are for over 50 employees? † – Enter total number of monthly full time employees. This is the number of employees you have working for you every month that work 30 or more hours a week. ‡ – Enter total number of hours all part time employees work each month. This is the sum of the hours of each employee that works less than 30 hours a week. * – FTE stands for Full Time Equivalents, which is the calculating factor in deciding if you are held as a shared responsibility employer. Employers with 50 or more full time equivalent employees must supply health care to their employees or face the Employer Shared Responsibility penalty. This calculator is meant for planning purposes for understanding penalties when setting up a company health care coverage. Actual penalties would need to be determined on per individual basis. This calculator helps understand the future penalties that employers are faced with pertaining to the health care coverage that is supplied to their employees. Employers Resource encourages you as an employer to contact an HR Specialist for any further explanation.